In October 2016, Rania Kataf created a group on Facebook, that has rapidly grown beyond the seven ancient gates of the Syrian capital. 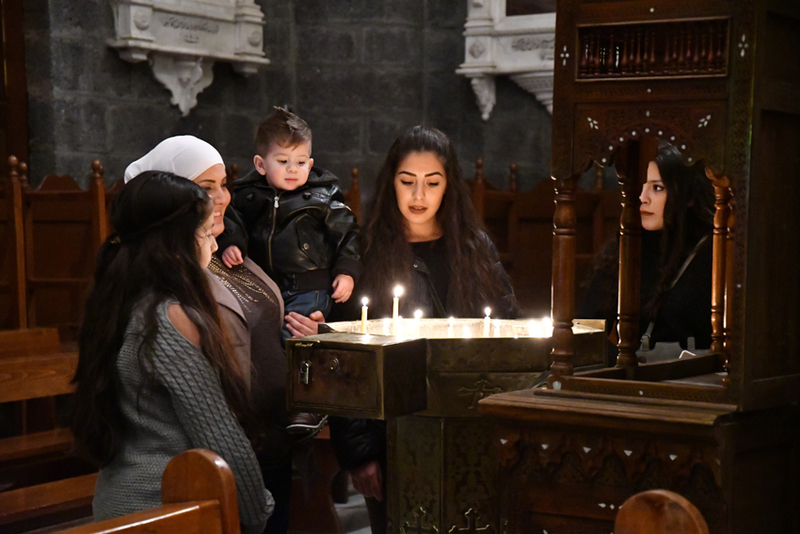 Damascus, one of the oldest continuously inhabited cities of the world, has been for its strategic position a nexus of powers and influences coming from everywhere, and left their marks on the city. Kataf’s idea of “Humans of Damascus” community came out of the fear of losing and forgetting. Over the past years of conflict in Syria, the country started to lose its cities and their peoples. Destruction and violence have been spiraling out of control. Homs has suffered massive damage, and large parts of Aleppo and its Old City have been reduced to rubble. There were times, wherever one looks, one feels that Damascus is one step away from surrendering to despair. Rania Kataf has been concerned: everything and everyone would break, and what has bonded people together, with their cities and homes, would shatter. Since 2011, the country has been featured in the news worldwide. The whole world is talking about the Syrian tragedy, in terms of violence, destruction and terror. Rania Kataf has been lucky enough to have the opportunity, to work in the Old City of Damascus. She wanted to show and share her daily experience, through words and pictures. There are powerful photographs that speak volumes, and like music, they are capable of overcoming the barriers of language. Rania Kataf has noticed how the photos she posted on her personal page on Facebook have attracted lot of interest and attention. Snapshots of stones and faces, of the city and its people that might be forgotten or invisible, have also awakened stories and evoked nostalgia. 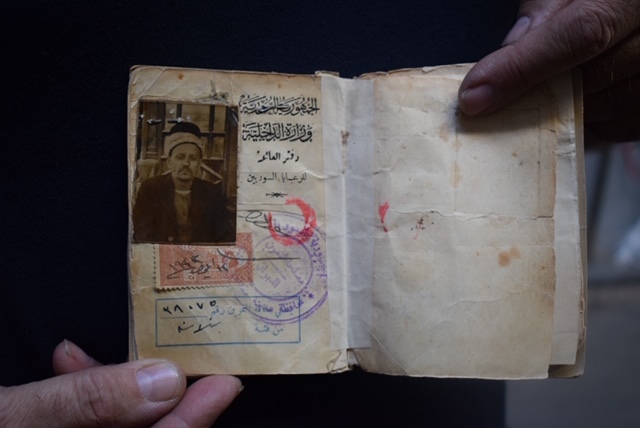 She wanted to show the hidden and almost forgotten accounts of Damascus and its people. Initiation is also what mark (new) members of the community. They are welcome to post and share photos and stories, away from political and religious debates. Within less than two and a half years, the group attracted over 15,700 members from Damascus, other Syrian cities and from other countries. Rania Kataf receives daily dozens of requests to join the group, however, she wants a mature and enduring community that grows with and through its members, not a page that grows with numbers. It is about creating a community, and most importantly, a positive one. A group that is more passionate and more resilient, in face of the uncertainty caused by the years of conflict. A community where members strengthen the bond that already brought them together, remain hopeful and positive, and to spread out this positivity. Only a strong and well-established community will benefit people and their surroundings, where they feel and appreciate genuine belonging and devotion. 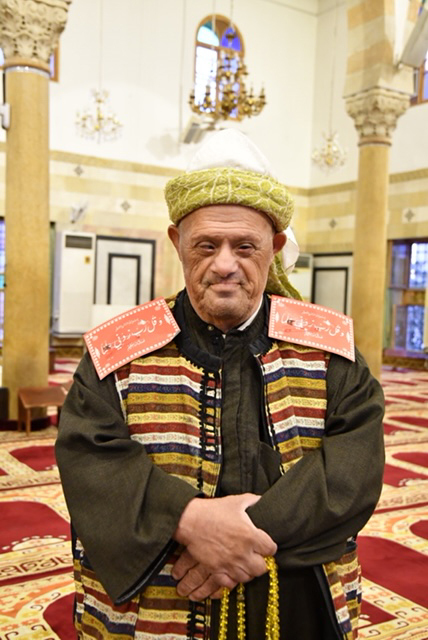 “Humans of Damascus” also have symbols that represent the shared values and remind the members of them. On the cover picture, there are wrinkled hands of an old man holding his stick. He is no longer aware of things around him, and his sons take him to their shop every day. He also chants the adhan (Islamic call to prayer) occasionally in the nearby mosque. The way this old man holds his stick reminded Kataf of how to hold on to the city. The name of the community has been inspired by “Humans of New York” (HONY), and the idea of spotlighting the unfamiliar face(s) of New York removed from clichés. In Autumn 2015, Humans of New York featured stories of Syrian refugees. For Rania Kataf, this creates sad and negative clichés among the millions of HONY’s followers. She wanted to show the other stories of those who, despite the war, did not leave the city, which would not survive for millennia without its people. “Humans of Damascus” community has become a social and cultural hub, and platform for exchanging stories and photos. Many historic houses in Old Damascus stand vacant and closed, waiting for someone to ask for them, to knock at their doors and to bring life again to their courtyards. Some (former) residents long for their homes and ask what happened to them. 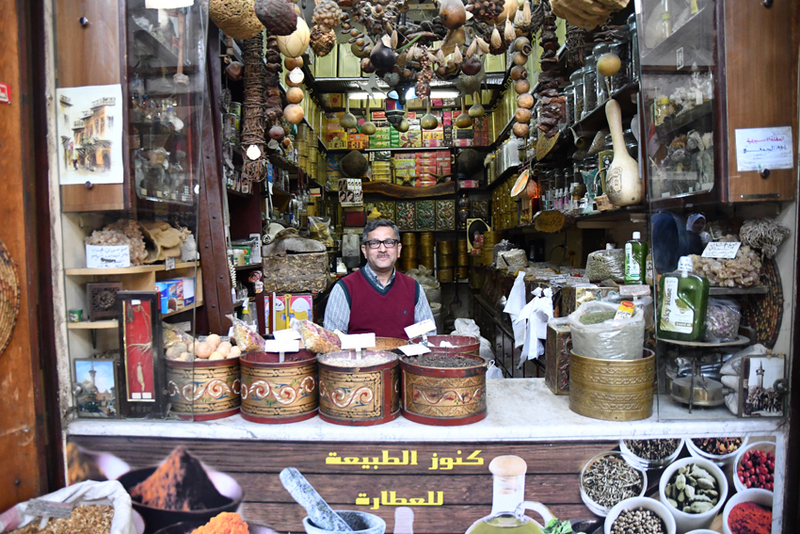 Others long for the scent of fresh bread, food, spices and jasmine in the serpentine lanes of the Old City. Even foreigners who have been in Damascus and fell in love with it miss some places and corners. 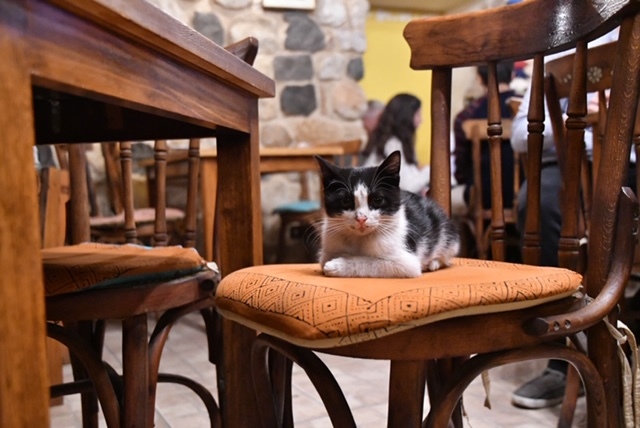 Today, and despite the war, “Humans of Damascus” (re)creates an accessible Damascus, even if just virtually, for those who are far away and, for whatever reasons, cannot be there. Stories allow Rania Kataf, and the other members, to appreciate the values they share in their community. Coincidences are also part of Kataf’s work. Either happy or sad, some twists of fate become special accounts to recall and tell. Every now and then, Rania Kataf comes across doors and facades that magnetize her. Sometimes it is easy to knock at the door and enter. Other times it takes her days, weeks or even months of waiting before finding her way in. 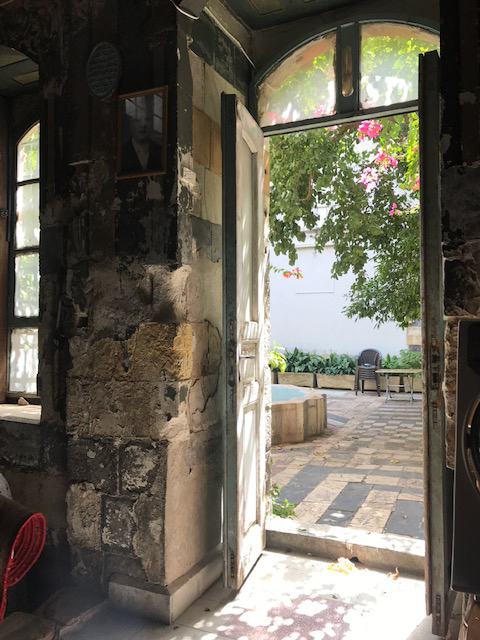 Like Dar al-Yasamin (The House of Jasmine) in Bab Touma, which after almost one year of waiting, happens to be owned by the old Damascene gentleman who has become her French teacher. Near al-Tawbeh Mosque, Rania Kataf ended up in a dead-end alley with a door. When it suddenly opened, a conservatively dressed woman showed up with her young daughter. 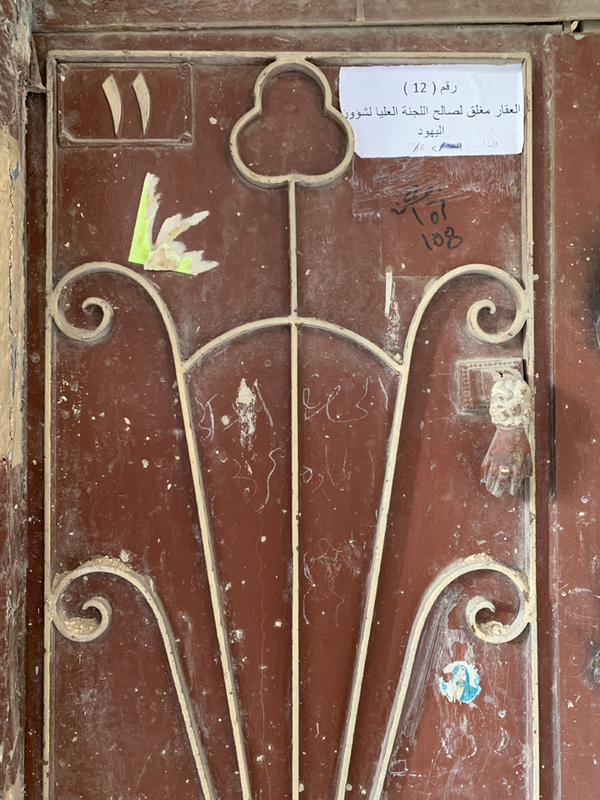 She invited Kataf to take some pictures of her old, almost deteriorating house, and also surprised her when she agreed to be photographed herself: something unusual for women in these very conservative areas. The daughter’s name is Sham (Damascus in Syrian colloquial Arabic, and Great Syria under the Ottomans). The mother called her daughter after the city so that the little girl, born and brought up in the war, grows strong like Damascus. The protracted conflicted has touched everyone’s life in Syria, in a way or another. 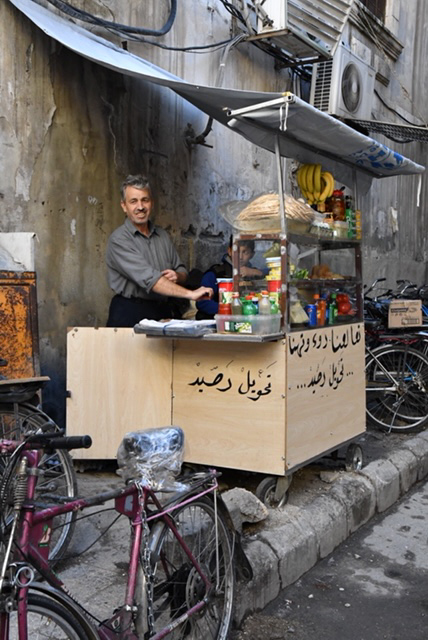 “Humans of Damascus” has become a virtual shrine, set aside and dedicated to everyone who loves this exceptional city, either originally from Damascus or not, and either Syrian or not. This community grows through the participation of its members: through photos, videos, personal accounts, or archival materials. On a more personal level, “Humans of Damascus” has been a turning point in Kataf’s life. Coming from a background in Food Science and Management from the American University of Beirut (AUB), she found her herself pursuing courses in Cultural Heritage. “Humans of Damascus” has deepened her old passion for painting, calligraphy and photography. It has also been a refuge from what living in city at war could cause: sadness, fear, and waiting. When homes are destroyed, and surviving becomes a struggle, talking about a culture seems to be a lavish luxury. Yet, there is a huge responsibility towards this culture: to deepens ones knowledge about it and to pass it on to new a future generations. The war will be over, and Damascus will stay. Interaction with the city, its peoples and their stories, has made of Kataf a more patient person, and a better listener. She has learned how to take things much easier; how to accept them, how they come; and how to always be grateful. 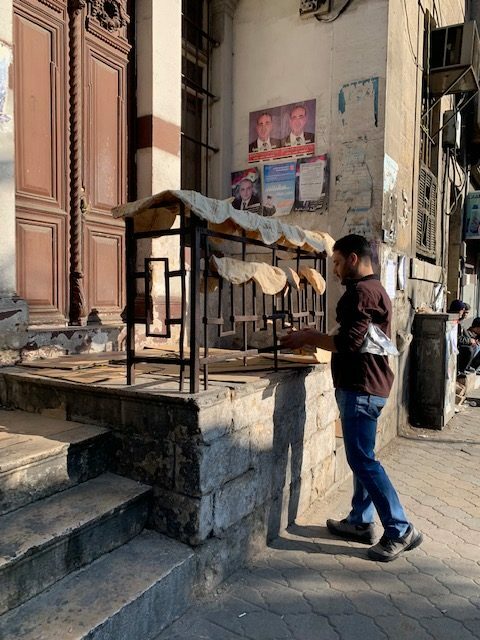 She keeps building this community from “real-world” Damascus, talking and listening to its people and to their stories and tales of nostalgia. Being an administrator of the Facebook group, Kataf does not control. She is there to moderate and mediate whenever a misunderstanding occurs. She is there to foster the can-do and the hold-on spirit. To create and to build a community, is about feeling the responsibility, solidarity and cohesion that it is involves. 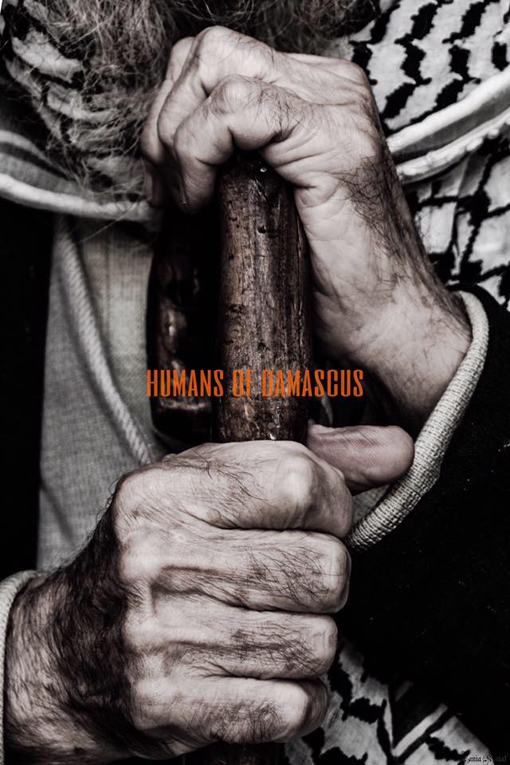 “Humans of Damascus” has grown through the engagement of its members. Creating a community can look simple or even mundane, however, it can also be life changing. It is about creating meaningful relationships that serve, support and heal. The war has destroyed homes and shattered lives. Through images and words, Rania Kataf has shown, despite the war, the other art of community building.